The French rider Julian Alaphilippe (Deceuninck – Quick-Step) has won the 110th edition of Milano-Sanremo Namedsport, the first Classic Monument of the season. On the finish line in Via Roma he finished ahead of Oliver Naesen (AG2R La Mondiale) and Michal Kwiatkowski (Team Sky). The 110th edition of Milano-Sanremo, the first Monument Classic of the season, is set to take place tomorrow, starting in piazza Castello at 9:45am. The Provisional Entry List is announced today for the 110th Milano-Sanremo NamedSport on Saturday 23 March. The Official Guide of the 110th edition of the Milano-Sanremo scheduled on 23rd March is now available. Download it here. RCS Sport has today announced its selection of wild card teams that will participate at four out of its five UCI WorldTour races: Milano-Sanremo NamedSport, Strade Bianche NamedSport, Tirreno-Adriatico NamedSport and Giro d’Italia. With 6.5km to go, Vincenzo Nibali attacked. 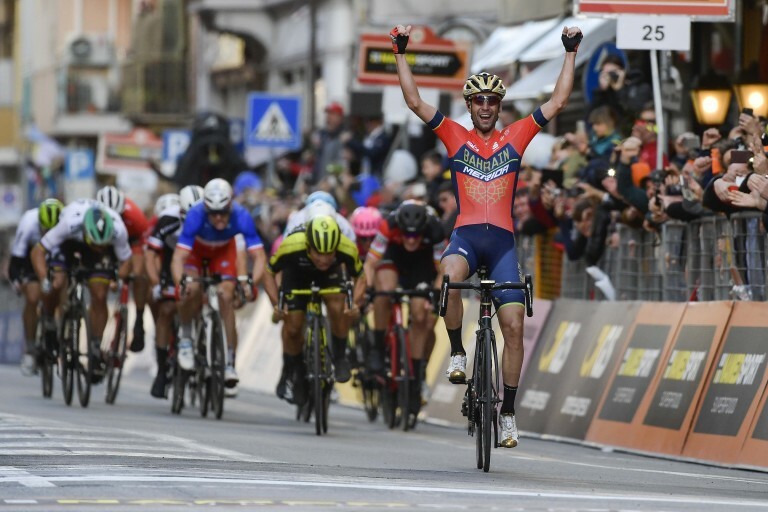 He crossed the Poggio alone with a 15-second lead and, despite a determined chase by Matteo Trentin, followed by the speeding lead-out trains of Elia Viviani, Caleb Ewan and Arnaud Démare , he held on to win to win the 190th Milano-Sanremo in style. The Italian rider has won the 109th edition of La Primavera.